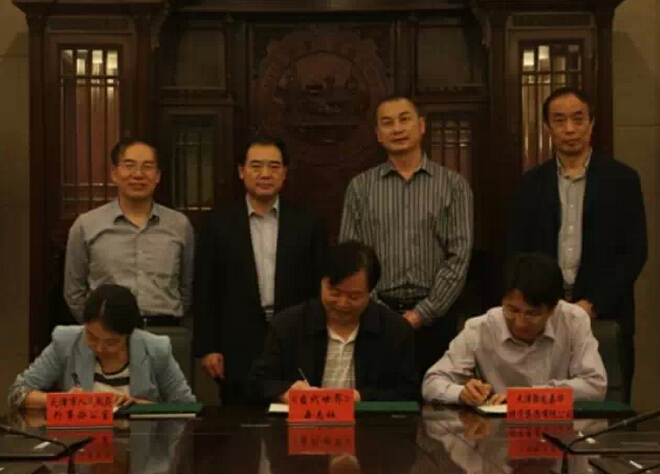 Julong News On May 15, an agreement about linkage promotion was signed between Julong Company, The Contemporary World and Tianjin Foreign Affair office. The Contemporary World is the core journal of social and science in charge of the International Department of the Central Committee of the Communist Party of China (short for IDCPC), as well as an authorized window for the information communication between China and the world. Under the guidance by the strategy of One Belt and One Road, Julong’s going-out undertaking is admired by the social public. Its successful experience of building a community of a common destiny set an example for other enterprises.